Musikgarten's teacher trainers are highly experienced and well-educated in early childhood music education. We wouldn't have it any other way — and we suspect you wouldn't either when it comes to learning everything you need to know about working with children in the Musikgarten way. Our trainers are more than able and willing to share "real-life" experiences in their workshops to help you succeed as you teach your classes. 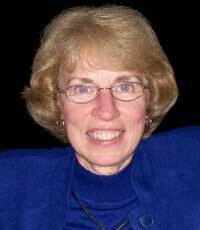 Jill Citro Hannagan has taught early childhood music since 1986. 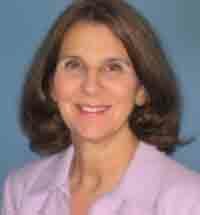 She is the founder and past director of the University of Delaware Community Music School and director of the Hockessin Music School in Hockessin, Delaware, where she teaches all levels of Musikgarten and beyond to children ages 3 months through 15 years. Prior to assuming the position of Executive Vice President of Musikgarten in 2007, Hannagan taught Elementary Music Methods to Early Childhood Education majors and also has teaching experience as a high school band director, elementary school music teacher, church musician, and as a private piano teacher. Certified at level III with the Early Childhood Music and Movement Association, Ms. Hannagan has served on their Board of Directors and that of Delaware Music Educators Association (DMEA). She has presented music and movement workshops at national meetings of the MTNA, MENC, Suzuki Association, and ECMMA, as well as many state conferences. Jill's articles on early childhood music and piano teaching have been published by MENC, Clavier Magazine, and Early Childhood Connections: Journal of Music-and Movement-Based Learning. As a teacher trainer for Musikgarten Publications, she has conducted workshops throughout the United States, in Canada, and in Malaysia. Jill Hannagan is co-author of the Music Makers: At the Keyboard series and Musikgarten Adults: Enjoying the Piano Together. Is the founder and director of Karen Haughey Music Studio in Billings, Montana, that offers all levels of the Musikgarten curricula, including adult group piano. Karen and 5 teacher employees provide classes for babies through Year 5 of piano. In October, 2009, Karen Haughey Music Studio will move into a new dedicated space, that will also be available for other community arts classes and workshops. Studying how children learn music, and how teachers and families might best nurture each child's potential, has been Karen's life's work. Over the years, she has studied and practiced many music education philosophies, including Kodaly, Orff, Suzuki, Dalcroze, and Education Through Music, in the public school system, her private studio, and in church choir and youth education. Karen holds bachelor and master of music education degrees from the University of Montana, and has served as piano accompanist, vocalist, and choir director in various settings over the course of thirty-five years. Karen has served on the board and is Level III certified by the ECMMA. She has presented at many regional and national conferences, including MTNA, MENC, Orff, ECMMA, as well as the Musikgarten Festival. Joyce Jordan is Professor of Music Education and Chair of Music Education and Music Therapy at the University of Miami, Frost School of Music. She is primarily involved in the teacher-training program, teaching elementary and secondary general music education methods classes and serving as supervisor for all general music internships. 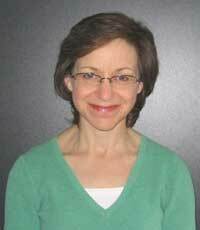 In addition, she teaches graduate courses in music education and early childhood music education. Dr. Jordan has published research on the musical capabilities of young children and is published in all the major journals of the music education field. She has served on the editorial board of several journals, and currently is on the research review board for Perspectives, the official magazine of the Early Childhood Music and Movement Association. She was the research review editor for Early Childhood Connections, a position she held from the first issue of the journal in 1995 to the last issue in 2006. In 1996 Dr. Jordan served as President of Early Childhood Music and Movement Association, an organization devoted to advocacy for music and movement in early childhood. Since 1987, she has promoted an outreach preschool music program in the greater Miami area and continues to advocate for music for disadvantaged children in the area through grants and other service programs. Dr. Jordan founded the Music Time program at the University of Miami, offering Musikgarten classes to children ages birth to 9. Teaches all levels of Musikgarten — from newborns to adult keyboard classes — in Billings, MT. She has degrees in music and Spanish and a Masters of Education in Early Childhood. Autumn is a frequent presenter at national, regional, and local conferences and was one of three national trainers for Recreational Music Making for the Piano, a national campaign conceived and supported by MTNA (Music Teachers National Association) and NAMM (National Association of Music Merchants). In 2008 Autumn presented in five sessions for the Music Teachers National Association's National Conference and is featured in an informational video regarding the teaching of adult piano classes. In addition, she is a consultant for the publication, Musikgarten Adults: Enjoying the Piano Together. 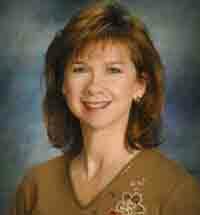 She has had several articles published in local and national publications regarding various music education issues. Autumn Keller is also the Director of Music for a senior-adult living facility serving elders from independent living to full nursing and memory care that strives to enrich lives through music and the arts. Autumn is passionate about the power of music making for all ages. She believes that the joy of music is innate in all people and it is never too early or too late to experience active music making. Through her teaching, workshops, and presentations, Autumn hopes to inspire in teachers and students that everyone has the potential to fulfill the dream of being successful musically when taught in an environment that provides a strong musical foundation within a community of music-makers that provides support, joy, and learning from peers. Is an internationally known early childhood music educator. Ever since she was a young child, Cathy wanted to be a teacher; she loves musical play with children and their families. It is one of her greatest joys! Cathy founded East Dallas Children's Music in 1989. Employing one additional teacher and an administrative assistant, her studio currently has over 130 children & families along with adult keyboard students, offering all levels of the Musikgarten curricula. 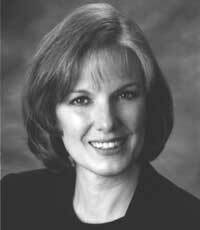 Cathy holds Bachelor's degrees in Organ Performance and Music Therapy and a Masters of Music in Choral Conducting. Having completed extensive study in early childhood music, movement, and child development, she has been involved in music education for over 30 years. Cathy has been a church musician since she was 11 years old. Prior to founding East Dallas Children's Music, she was the early childhood music specialist, taught private and group piano, and supervised graduate assistants in the Piano Preparatory Department at Southern Methodist University. Passionate about the importance of music & movement in the lives of children and adults and passionate about teaching, Cathy has been a Musikgarten Teacher Educator since 1995. She has led Musikgarten teacher training workshops across the United States and in Canada, Taiwan, and China. Early childhood music and movement specialist and consultant, Karen is the founding director of the Bethany Community Music Center in Rochester, NY. Currently she teaches all levels of the Musikgarten curriculum, birth through 9 years, at the center. Ms. McIver holds Bachelor and Masters degrees in Music Education from West Virginia University, Morgantown, WV. Prior to founding the Bethany Community Music Center in 2000, Ms. McIver maintained an Early Childhood Music studio for fifteen years in Owensboro, KY. In addition, during her years in Owensboro, she also directed children's choirs at Newton Parrish Elementary where her choirs performed regularly at community functions as well as with the Owensboro Symphony Orchestra. 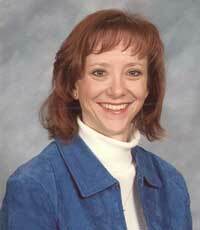 While in Owensboro, she was also Adjunct Instructor of Voice and Music Education at Kentucky Wesleyan College. As Minister of Music for several congregations, she conducted children's and handbell choirs. Her college handbell choir toured nationally and internationally with the Kentucky Wesleyan singers. Ms. McIver, a renowned teacher educator for Musikgarten has been training teachers for twenty-three years nationally and has also conducted teacher training workshops in South Korea, Taiwan, and Canada. Additionally, Ms. McIver has presented sessions at numerous state MENC conferences and at ECMMA national and regional conventions. Certified at level III with the Early Childhood Music and Movement Association, Ms. McIver has served on the certification and nominating committees. Leilani Miranda has been involved in music education since 1965 and early childhood music and movement since 1984. She teaches 60+ children ages birth through nine at her studio, The Music Garden, in Houston, Texas which was featured on PBS television. Ms. Miranda has participated in Dr. Bruce Perry's Civitas Project, training staff in the art of teaching early childhood music and movement to children at risk emotionally and/or psychologically. In addition, she was involved in a research project designed and run by the Child Trauma Academy in Houston to discern the impact of music and movement classes on 3-year-old children at socio-economic risk. Leilani Miranda gives frequent presentations to parents and in-service sessions to teachers in Houston. Miranda has presented for regional and national conventions of the ECMMA and has presented sessions at several state conventions of the MTNA and MENC. Ms. Miranda completed a Bachelor of Music degree at Oklahoma City University and a Master of Music degree from the University of Houston. Miranda is certified Level III as an Early Childhood Music and Movement Specialist by the Early Childhood Music and Movement Association, of which she is a founding board member, past president, and honorary lifetime member. Participants in workshops taught by Ms. Miranda frequently comment on the fact that in spite of their inexperience with very young children or teaching music when beginning the training, she made them comfortable and gave them the confidence that they, too, could be a success in teaching early childhood music and movement classes. One of Ms. Miranda's strengths is her ability to share an understanding of young children through insights into the influence of brain development. With this understanding, she shows that the stage is set for you, the teacher, to draw the child and his/her family into the world of music and movement. Ms. Miranda has taught workshops throughout the continental United States and Hawaii as well as in Venezuela and Canada. Linda K. Robinson has been actively involved in teaching music to children for over forty years in private and public schools, Headstart classrooms, Montessori school, studio classes for young children and parents, and Christian education programs. She has been a teacher educator in early childhood music and movement since 1982, offering workshops throughout the United States and Canada, as well as in Taiwan and Great Britain. In addition to undergraduate and graduate degrees in music education, Ms. Robinson completed a Master's degree in Family Studies, concentrating on children ages 0-6 years, and a Montessori Diploma for Primary Class ages 3-6 years. She is certified at Level III by the Early Childhood Music and Movement Association and Orff-Schulwerk certified at Level II. Ms. Robinson is a co-author of God's Children Sing in the Musikgarten Series and has had several articles published in professional journals. Beginning in 2007, she has served as the director of the Music for Learning project, supported by the Musikgarten Foundation, to bring music/movement education to the children, directors, and teachers in Headstart and other low-income Pre-Kindergarten classrooms. Holds degrees in Piano Performance, Music Education, and Piano Pedagogy from The Ohio State University and Southern Methodist University (SMU). Having taught early childhood music since 1990, Ms. Rucker founded the Early Childhood Music program at the Arts Academy at Park Cities Presbyterian Church in Dallas, Texas. Creating and building a program that served families with children through age nine, Ms. Rucker's department grew to include 4 certified Musikgarten teaching staff. Upon graduation from SMU, Ms. Rucker was appointed Adjunct Faculty and continued to teach all levels of piano, freshman and sophomore class piano, and became a supervisor to graduate pedagogy students. During this time, she had articles published in Keyboard Companion and Musikgarten Messenger. Early in her career at SMU, Ms. Rucker discovered the joys of teaching early childhood music and movement. Seeing first hand the benefits of early music study, Ms. Rucker determined to include this level of instruction in her own teaching and to share her experiences with teachers and musicians of all ages. Because of this passion, Ms. Rucker excels in teaching workshops and giving presentations. Ms. Rucker has presented for TMTA (Texas Music Teachers Association) as well as for local MTA organizations, OMEA (Ohio Music Educators Association), universities, Musikgarten Festivals, Chorister's Guild, and the Presbyterian Church in America Music in Worship Conference. She has taught Musikgarten Training Workshops throughout the U.S. and Canada. Ms. Rucker has enjoyed over 20 years of private teaching in voice, French Horn, and piano, and has been teaching K-8 music and choir in schools since 2003. But her true love is Musikgarten, because she firmly and passionately sees the value of young children learning music when their readiness is at its greatest. Mary Louise is a sought-after clinician in the area of early childhood music and is frequently invited to present at national and state music conferences. As a teacher educator for Musikgarten since 1994, she has enjoyed conducting workshops and introducing the Musikgarten philosophy to teachers throughout the US, Canada, England, Taiwan, South Korea, China, and Malaysia. Co-authoring Music Makers: At the Keyboard and Musikgarten Adults Enjoying the Piano Together with Lorna Heyge and Jill Hannagan has been a highlight for her. Dr. Wilson received the Bachelor of Music and Masters of Music Education degrees from the University of North Texas and a PhD in Music Education from Louisiana State University. She holds Level III certification from the Early Childhood Music and Movement Association and is in her 2nd term serving on the International Board as 1st Vice-President. 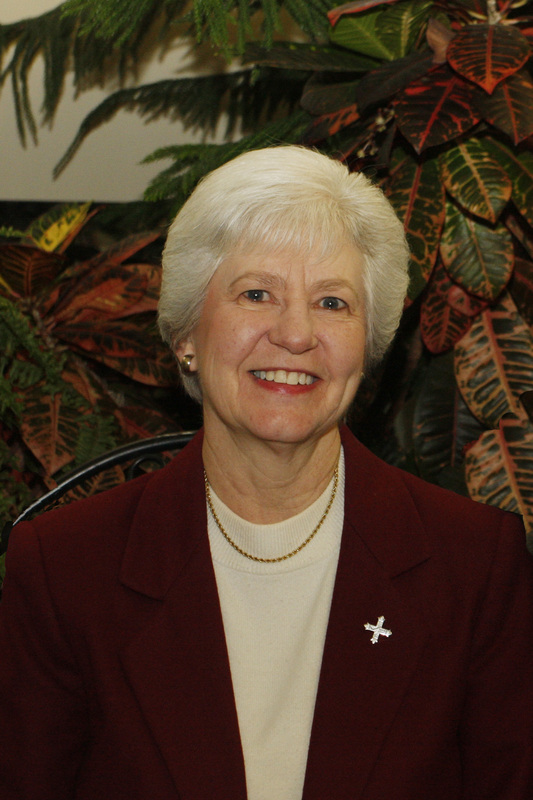 Mary Louise is currently Co-Director of the Children's Music Development Center in Atlanta. Prior to moving to the Atlanta area, she taught with the University of Miami's MusicTime program for 19 years and taught fine arts classes for elementary education majors in the School of Education.